Researchers say they have pinpointed cells in the immune system that could be key to tackling high blood pressure. The findings also shed light on current medications that could increase risk of the disorder. The study (“A novel role for myeloid endothelin-B receptors in hypertension“), which is published in the European Heart Journal, revealed a new role for macrophages that are central to the body’s immune system. The research team, led by the University of Edinburgh, discovered that macrophages scavenge for and “eat” molecules of the hormone endothelin. Hypertension is common. Recent data suggest that macrophages (Mφ) contribute to, and protect from, hypertension. Endothelin-1 (ET-1) is the most potent endogenous vasoconstrictor with additional pro-inflammatory properties. We investigated the role of the ET system in experimental and clinical hypertension by modifying Mφ number and phenotype. “In vitro, Mφ ET receptor function was explored using pharmacological, gene silencing, and knockout approaches. Using the CD11b-DTR mouse and novel mice with myeloid cell-specific endothelin-B (ETB) receptor deficiency (LysMETB−/−), we explored the effects of modifying Mφ number and phenotype on the hypertensive effects of ET-1, angiotensin II (ANG II), a model that is ET-1 dependent, and salt. In patients with small vessel vasculitis, the impacts of Mφ depleting and non-depleting therapies on blood pressure (BP) and endothelial function were examined. Mouse and human Mφ expressed both endothelin-A and ETB receptors and displayed chemokinesis to ET-1,” wrote the investigators. “However, stimulation of Mφ with exogenous ET-1 did not polarize Mφ phenotype. Interestingly, both mouse and human Mφ cleared ET-1 through ETB receptor-mediated, and dynamin-dependent, endocytosis. Mφ depletion resulted in an augmented chronic hypertensive response to both ET-1 and salt. LysMETB−/− mice displayed an exaggerated hypertensive response to both ET-1 and ANG II. Finally, in patients who received Mφ depleting immunotherapy BP was higher and endothelial function worse than in those receiving non-depleting therapies. By monitoring and regulating endothelin levels in the blood, these white blood cells help blood vessels relax, significantly lowering blood pressure. The scientists found that lowering levels of macrophages increased blood pressure in mice fed a high salt diet. When the macrophage level returned to normal, blood pressure also normalized. The scientists then looked at white blood cells in patients taking medication for an immune system disorder that attacks blood vessels (small vessel vasculitis). Those taking medication known to reduce macrophages had higher blood pressure compared with patients taking other medications. 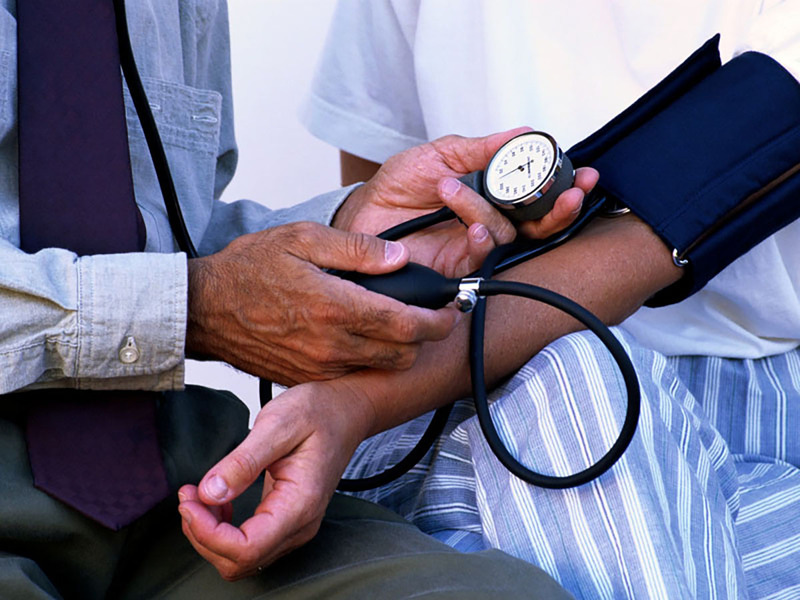 The team said these findings could help spot people most at risk of developing hypertension. The study could open avenues to improve current therapies, although researchers caution that further human studies are needed.